So I'll admit I suffered from acne as a teen, it was horrible... I started using Proactiv when it first came out and loved the line because it actually helped. It cleared up my acne to the point that I actually stopped using it and I really didn't have much of a problem with pimples up until recently. I started getting these horrible deep pimples, resembling cystic acne. 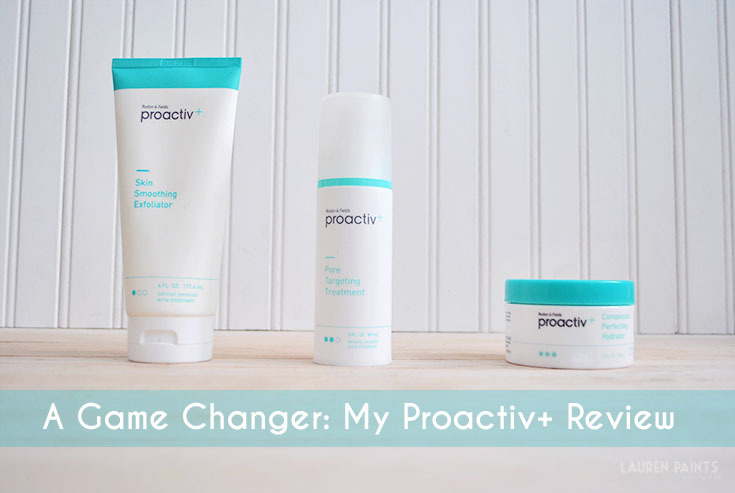 They were horrible and I knew I needed to do something about it, so when Proactiv+ wanted me to review their product I was all for it! Although I don't have any pictures where my blemishes are prominent, because I'm the type of girl to avoid the camera like the plague whenever I have a volcano growing on my face. 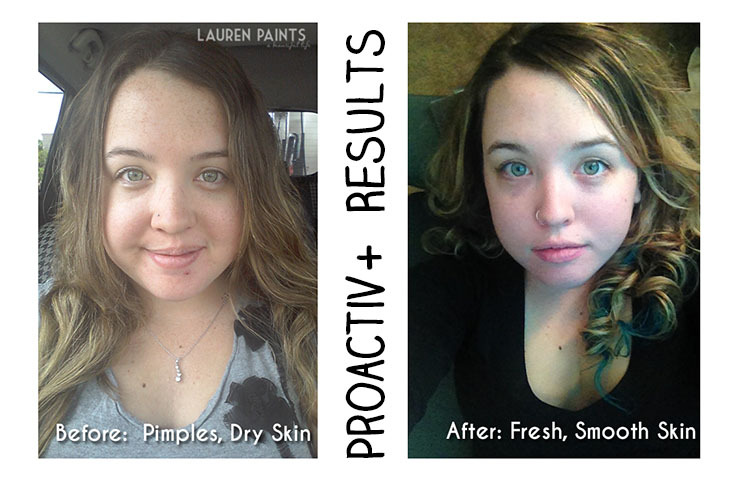 But here's a good idea of what my before and after with Proactiv+ looks like! As I said in the video, Proactiv+ is a game changer. If you aren't comfortable with the way your skin looks now, Proactiv+ is the answer. The whole line is amazing and formed to treat break outs, the answer to my adult acne prayers! I know several people think Proactiv+ is another "as seen on TV" item... and while it is advertised on television, that's only because the line actually works! The Proactiv+ system provides enhanced hydration, skin smoothing and mark reduction. 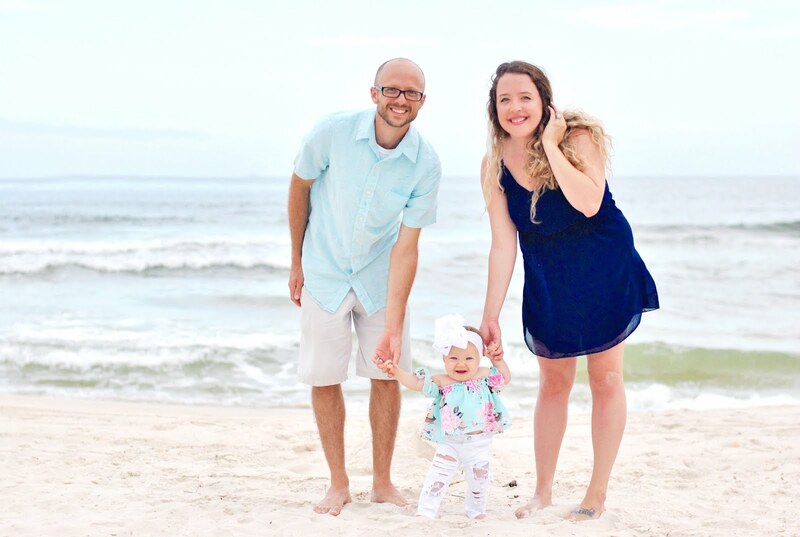 It's also been known to show an overall improvement in texture, tone, pore appearance and brightness- all of this greatness in one simple system! Step 1‐ Skin Smoothing Exfoliator - The Head Honcho - This product is the main ingredient in your skin care routine, cleaning your pores, and allowing them to be open and ready for the next step. Step 2­‐ Pore Targeting Treatment - The Star of The Show - This part of the system is the real game changer, it really helps with pimples and is by far my favorite product in the Proactiv+ line! Step 3‐ Complexion perfecting Hydrator - The Smooth Operator - This product is the best moisturizer on the market. It helps my skin feel soft and fresh without making it feel heavy or too wet. My results with the system were so amazing, they had to be shared. It's so easy to use, fits into my daily schedule, and the products work well - I highly recommend Proactiv+! 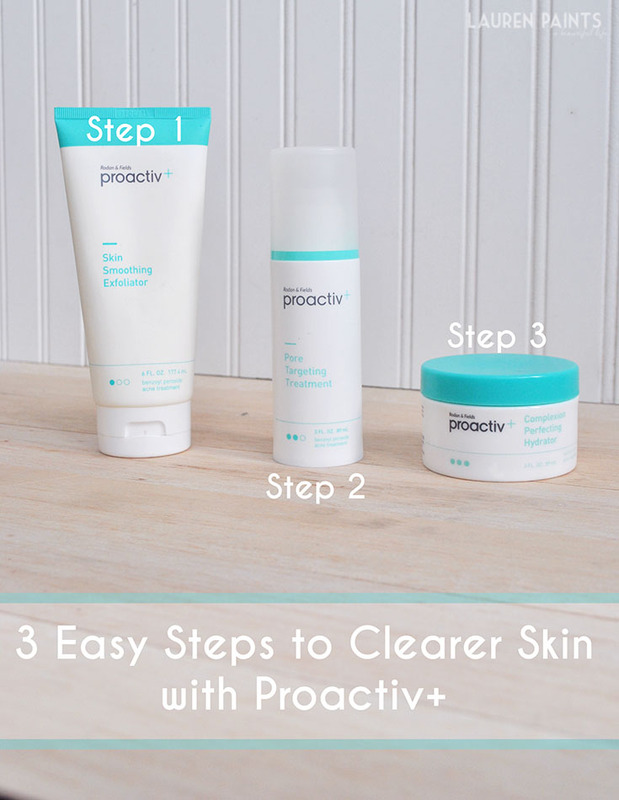 If you want to try the Proactiv+ line for yourself, find out more here.